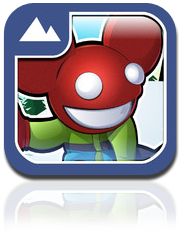 Take control of mega-star Deadmau5 as you shred down the wild slopes of NeffLand. Grind popsicle rails, cupcake bonks and shoot off of ramps for big air. Do well and trigger TURBO MODE for 5X POINTS! Earn stars by completing challenges and unlock extra Neff outfits in the Zumiez store. 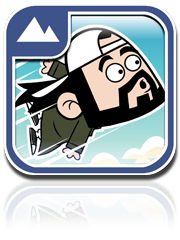 Too Fat to Fly is a challenge-based physics game, where players assist Jay in order to launch Silent Bob through various environments such as a shopping mall or the streets of Jersey. Through the completion of challenges, players have the opportunity to unlock special features and upgrades, including new costumes for Jay and Silent Bob. LET US DANCE! is a rhythm-based match game, challenging players to match colored-button presses to the beat of the music in an effort to prolong Jay’s acrobatic dance moves. 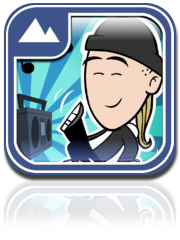 The game comes with three unique styles of music, and provides addictive gameplay like only the View Askewniverse can.